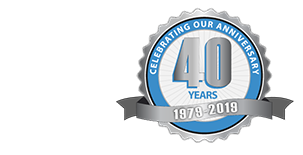 We are currently in our 40th year of building custom, hip, and gable garages in over 50 communities in the Chicago area and suburbs. 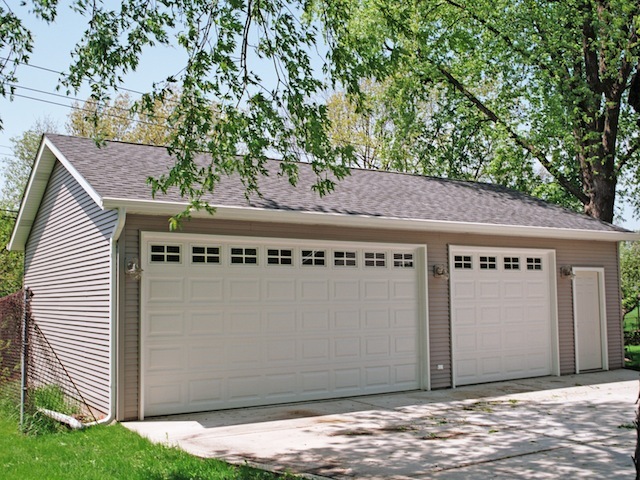 After nearly 40 years and a brutal 2014 Chicago winter, our client decided that it was time to look into a replacement for his family’s two-car garage before the winter of 2014-15. Looking for a quality and affordable garage contractor for your next project? Blue Sky Builders was started in 1979 as a quality custom garage builder who provides exceptional service. We are currently in our 40th year of service to over 50 communities in the western suburbs, northern and southern suburbs and the Chicago area. The original owners still handle all day to day operations and provide free on site estimates at your convenience. With Blue Sky Builders, you can be assured that you will be dealing with a knowledgeable professional with over 38 years of experience - someone familiar with current building codes and common construction practices. I had been waiting to get the custom garage of my dreams for a LONG TIME! 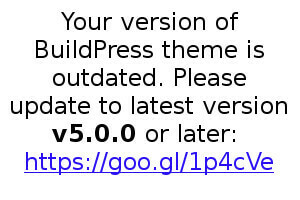 Blue Sky Builders made this possible and I couldn't be happier. For quite some time we were looking for help on who could custom make garages best. We looked at some of the work Blue Sky did and chose them immediately. I am very happy with the garage you built for me. I'm the envy of all my neighbors. Bruce and all the builders did an excellent job. If any of your prospective customers would like to see the quality of Blue Sky Builders, give them my telephone number and I'll show them my garage. I am very happy with my garage, and also with the quality of service from every one of the workmen at every stage of the project. Everyone was friendly as well as competent. I also appreciate the way you were always there when I had a question and always got back to me as quickly as possible with the answer. And I especially appreciate the way you went the exra mile and did things you didn't have to do, like bringing in the load of gravel to fill the low spot in my driveway so I could actually drive into the garage. I will definitely recommend Blue Sky to anyone I know. Thank you again for a job well done. We just wanted to send you a thank you note for the outstanding job you did on the custom storage shed you built for us. Everyone involved including your demolition team, concrete crew, construction team, and clean up crew were outstanding and a pleasure to deal with. The finished product is everything we hoped it would be and more! I wanted to send a note to thank you for doing such a great job on my garage. It was by far the smoothest running project I have had. You were very organized, neat, and completed the garage as planned. I can't tell you enough how nice it is to have people like you! We recently had our custom garage built by Blue Sky Builders and are extremely satisfied with the appearance and quality of the garage, as well as Blue Sky Builder’s customer service. We were especially pleased by the effort they took to match the style and colors of the existing house. We would strongly recommend anyone living in the Chicagoland area to choose Blue Sky Builders for their project. 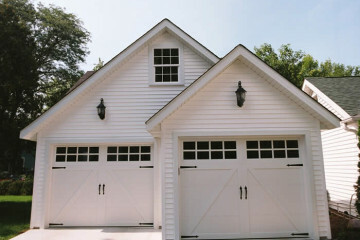 I am very satisfied with the custom garage constructed by Blue Sky Builders. Everyone that I worked with including Rick, Bruce, and the various contractors that were on site were a pleasure to work with. I originally wanted a replacement that was simply a duplicate of the former garage. Rick suggested changes that provided much needed additional space within the same footprint of the old garage and driveway. I am thrilled with the result. Blue Sky builds a quality product and I highly recommend the Blue Sky team. I appreciated Blue Sky's customer service during the entire project - especially since this was my first new garage. When my family and I were browsing different companies, Blue Sky Builders was the only one that took our concerns on pricing and design seriously. 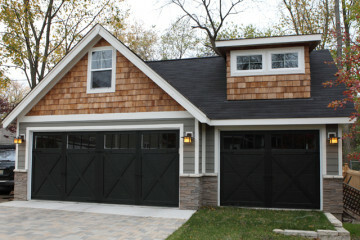 The process of designing the garage went quickly and they had great financing options to choose from.